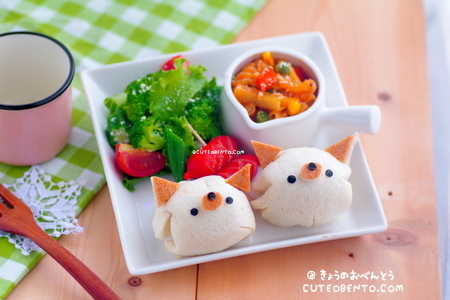 Rolled bread kitten plate for me. Wrapped Chinese dim sum with a white bread. I used fried spagetti to attach their ears and nose. Check my book: Yum Yum Bento Box Recipes Facebook.